2018 LA was a small asteroid, somewhere between 2-3 meters in diameter. It was first seen in space just 8 hours before impacting the Earth on 2 June 2018. This is significant because it's only the 3rd time an asteroid has been seen in space before impact, and coincidentally all by the same astronomer Richard Kowalski with Catalina Sky Survey. There are lots of great write-ups here, here, and here which I won't attempt to reproduce. I believe it's worth exploring the context of why this particular object is intriguing and finding meteorites is so valuable in advancing our knowledge of the solar system. A good amount of information is known about the asteroids by studying them with various telescopes on Earth and in space. Currently 780,000 asteroids have been discovered. There are entire classification schemes to group them by orbit, spectral type, and parent body families. Of these, only 12 asteroids have been studied up-close by spacecraft (if you don't include the Pluto-Charon system), and none have returned significant samples back to Earth. This is about to change. Hayabusa2 arrived at asteroid Ryugu in June 2018, and OSIRIS-Rex reaches asteroid Bennu in August 2018. Both will map their targets in detail, attempt to retrieve samples, and return them to Earth for analysis. On the other hand, we know these asteroids (and comets) occasionally hit Earth. Meteorites are nature's own version of a sample return mission. Currently 57,000 meteorites have been found and studied, with multiple hotly-debated classification schemes to characterize them. Of these, only about 1,100 meteorites have been observed falling through the sky as a meteor before being found. And of these, exactly 1 has been studied in space as an asteroid, observed falling as a meteor, and been found and analyzed as a meteorite. This was the asteroid 2008 TC3, which was discovered 19 hours before impacting in the Nubian Desert of Sudan on 7 October 2008. 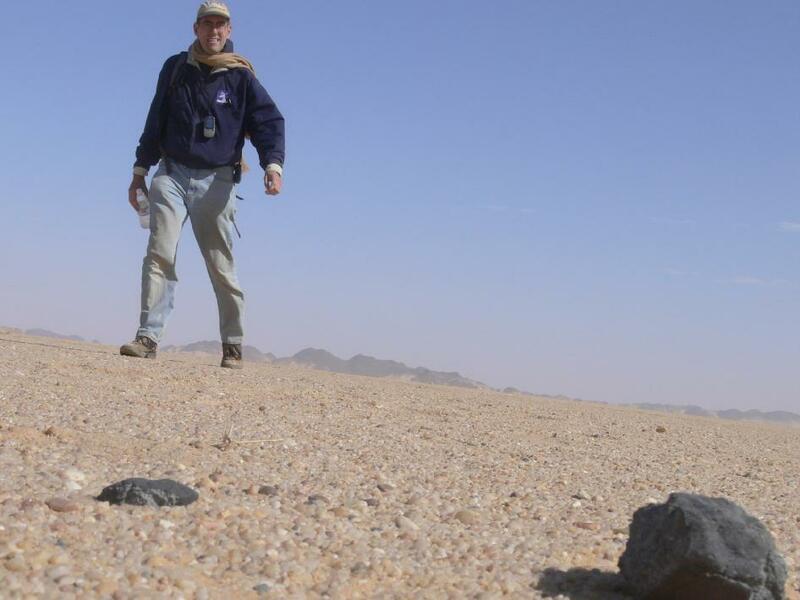 Within 3 days, a team led by SETI and the University of Khartoum had retrieved the first fragments of 2008 TC3 (known collectively as the Almahata Sitta meteorite). The amount of data from studying this one asteroid and its resulting meteorites have firmly linked the ureilite meteorite classification to F-type asteroids. While no distinct parent body has been identified, diamond crystals obtained from this meteorite indicate the temperature and pressure environment at their formation. 2008 TC3 came from the mantle of a Mars-sized planetary embryo…which has since been blasted to bits. This hunk of rock had a very bad childhood. There is still a large knowledge gap between the classification types of meteorites and the spectral types of asteroids. Studying fragments of 2018 LA would prove invaluable in helping to bridge this gap. Meteorite fragments of 2018 LA were found in Botswana's Central Kalahari Game Reserve by a multinational search effort. Botswana law protects these meteorites, which will be held by the Botswana National Museum for further study. Read more from the official press release. More on the story behind 2008 TC3 and the search for meteorites can be found at these excellent write-ups by Emily Lakdawalla, Kelly Beatty, and Cara Giaimo.